The Battle of Old Baldy continues into July 1952 and fighting breaks out elsewhere along the front line in July and August 1952. President Truman decides not to stand for re-election and the Democratic Party chose Stevenson as their candidate for the 1952 Election but due partly to the Korean War it is the Republican Party which stands the best chance to win. The Republican Party chose Eisenhower as their candidate, during the campaign he promise to go to Korea and see for himself the war. 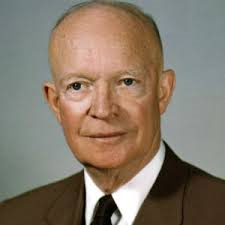 Eisenhower is a elected and visits Korea where he tells the Generals their will be no major offensive. A biography of Eisenhower. Available from Saturday 24th September.